Life after Southeastern could look a lot brighter now for passengers on the Hayes Line, with more frequent services and longer trains. Some readers will have been aware of the new proposals for Transport for London (TfL) to take on responsibility for suburban rail services within Greater London. With the South-Eastern franchise being re-tendered soon (the new contract starts in 2018), TfL will now take the leading role in selecting the new operator. TfL wants to see all stations served by at least four trains per hour, but as this may require infrastructure improvements this is has been billed a ‘medium term’ goal, with a target of 80% of stations running these more frequent services. It’s not clear yet whether the Hayes line would be among that 80%, what works would be required (if any) and the effect on residents near the line. However, this is positive move and we’ll be lobbying to ensure that the Hayes line can benefit with minimal disruption to residents – be they regular rail travellers or not. There are also suggested improvements to station staffing and a long term aim for all services to run 12 carriages as the norm. There is also a passing mention of more night-time services on suburban routes, an idea which will have to be balanced against the concerns of those living near the line. The plans promise to deliver the sort of improvements that were promised by TfL with the controversial extension of the Bakerloo line to Hayes (a plan that seems to have been shelved for now for the route past Lewisham). However it may do so at a lower cost and, crucially, without the loss of direct services to London Bridge and the City which the Bakerloo proposals would have entailed. 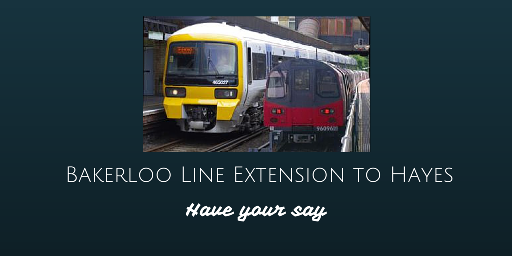 You can have your say in the consultation, available here, until 18th March 2016. Trams will be running through to Wimbledon from Elmers End under new plans unveiled recently. 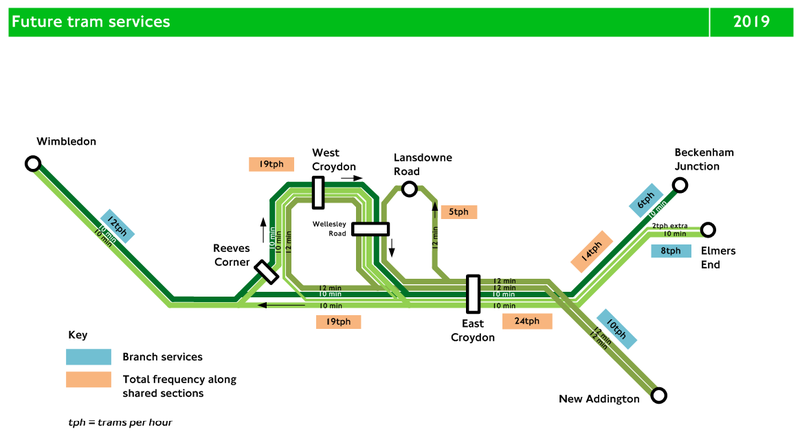 Transport for London (TfL) are building an new ‘loop’ into the network in Croydon. As a result of the increased capacity it will provide, TfL will be able to run six trams per hour each from Elmers End and Beckenham Junction, running all the way through Croydon to Wimbledon. A further two trams per hour will run from Elmers End to Croydon along the current route. Currently no trams from either station run further than Therapia Lane (with Beckenham trams only reaching Croydon town centre). The changes are expected to take effect in 2019. Would You Put Hayes on the Tube Map? Transport for London are proposing a £3m scheme to extend the Bakerloo line to Hayes via Lewisham. This would mean direct services across the West End and into North London and possibly more frequent services (though whether these higher frequencies will extend to Hayes is unclear). However, there would be no direct connection to the City or London Bridge, and some dislike the idea of smaller trains (and without toilets). Bus passengers have received some good news with the announcement that Transport for London are upgrading the “countdown” technology that gives passengers information about the waiting times and order of buses due at stops. The new technology is expected to provide more acccurate information as well as the signs being easier to read and also showing more service and general information. 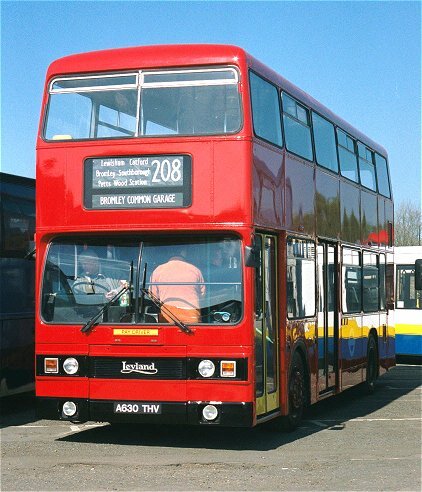 Installation is expected in the 2011/12 financial year at the stops at Hayes Station, Coney Hill Road, the Layhams Road/Addington Road junction and the Hayes Lane/Hayes Road junction.